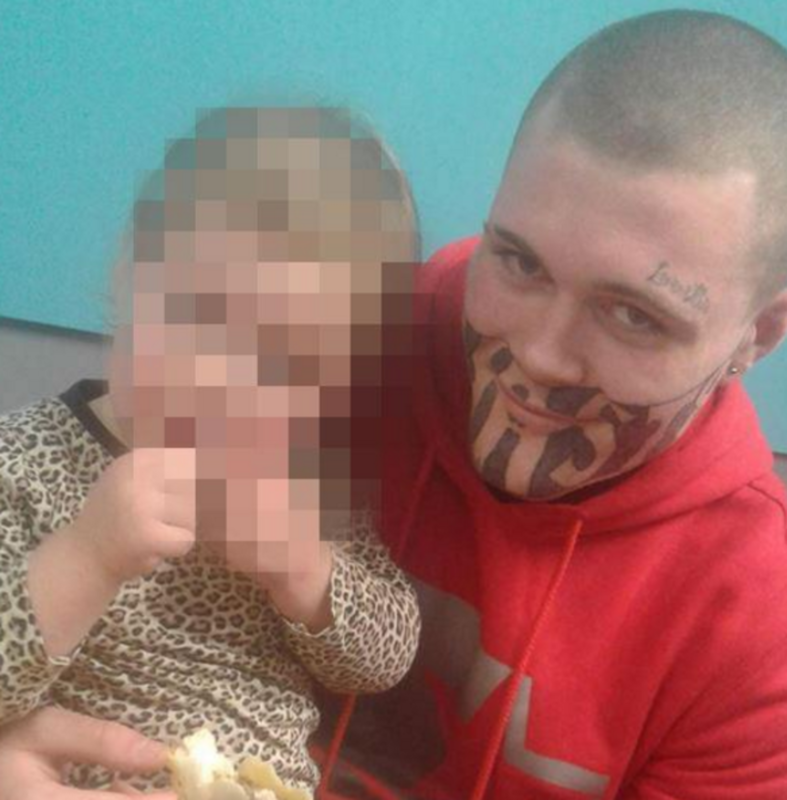 A New Zealand man who got a large face tattoo in prison has finally found a job. 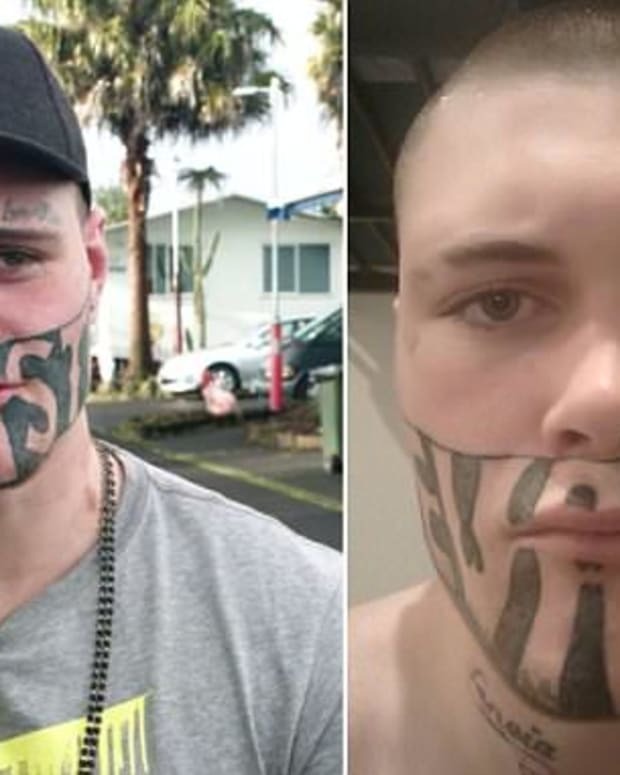 Mark Cropp,19, went viral online when he showed off the face tattoo he had gotten while drinking home-brewed alcohol in prison, reports The Telegraph. 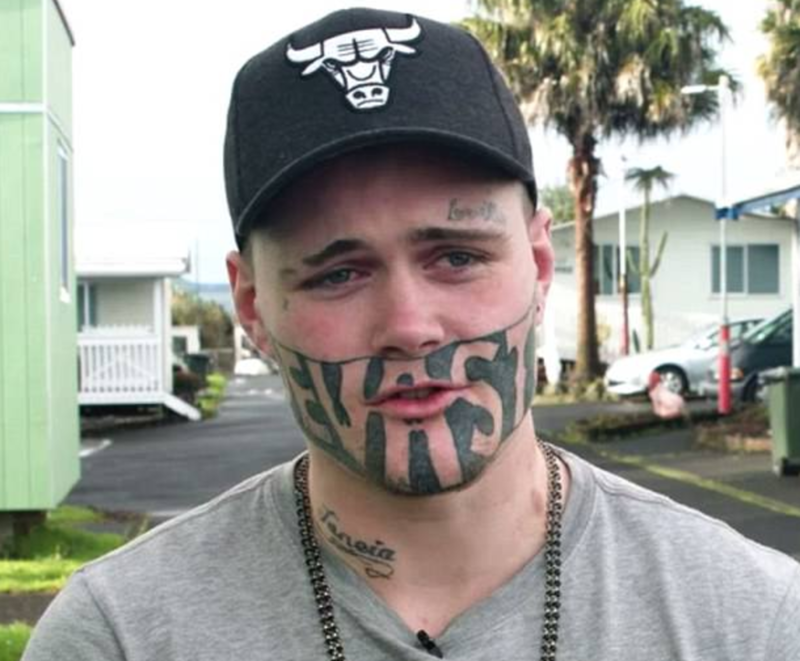 Cropp complained the large tattoo on his mouth and jaw, which reads "Devast8," kept him from getting a job. 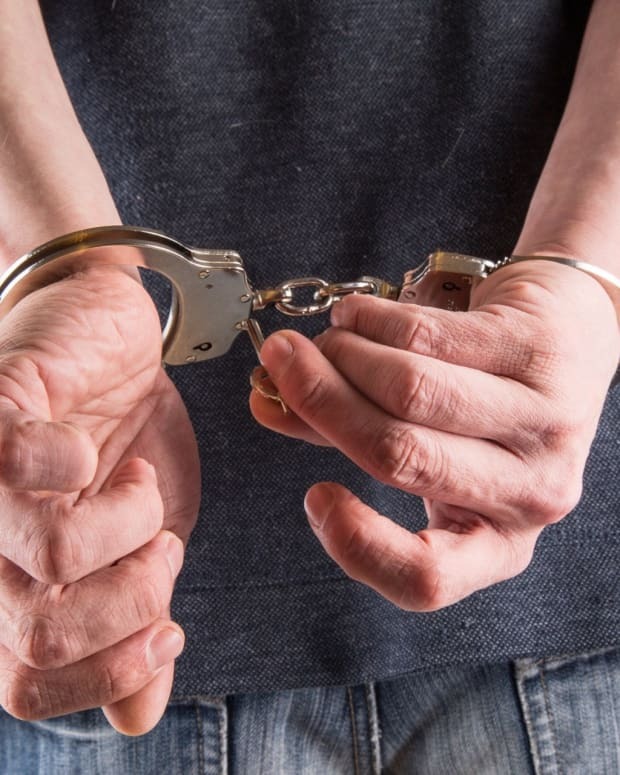 "One employment place said to me, &apos;I wouldn&apos;t employ you with that on your face, I wouldn&apos;t even take a second look at you,&apos;" said Cropp. "I&apos;ve had other people that just shrugged and laughed at me." He added: "I just want any job at the end of the day." 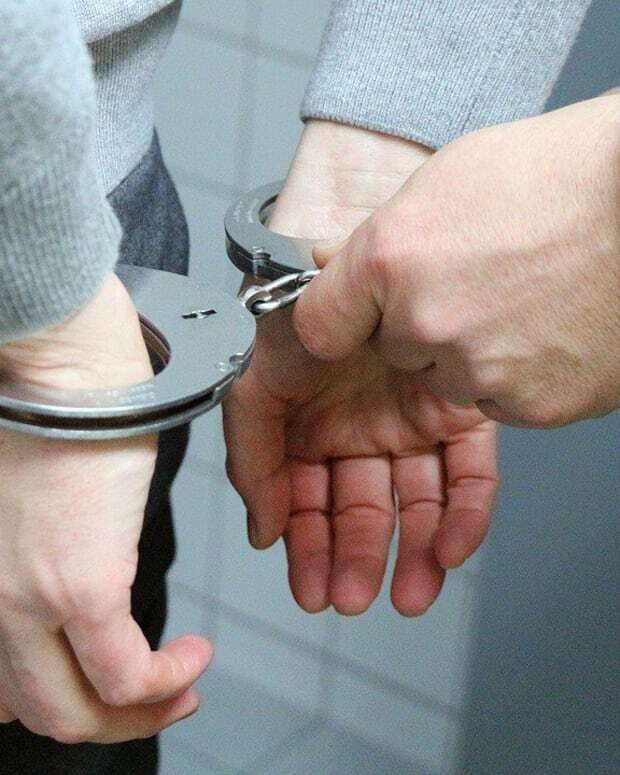 Cropp spent two years in prison for aggravated robbery after he pulled a knife on a tourist in 2015, but the young father says he is eager to turn his life around. "I&apos;m keen as to work but have one thing that is stopping me and that&apos;s my tattoo on my face," said Cropp in a post online earlier in July. "I don&apos;t have a CV as of yet but have worked at NZ brick distributors before, also a scrap metal yard ... Keen as on job or work place that will take me on." 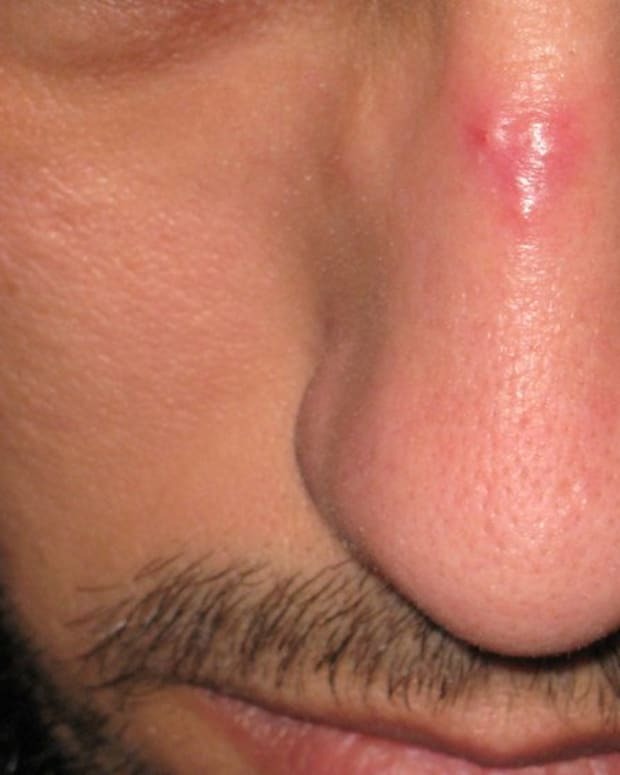 After his photo went viral online, Cropp received a number of job offers and even an offer from a tattoo removal company to help remove the tattoo from his face free of charge. 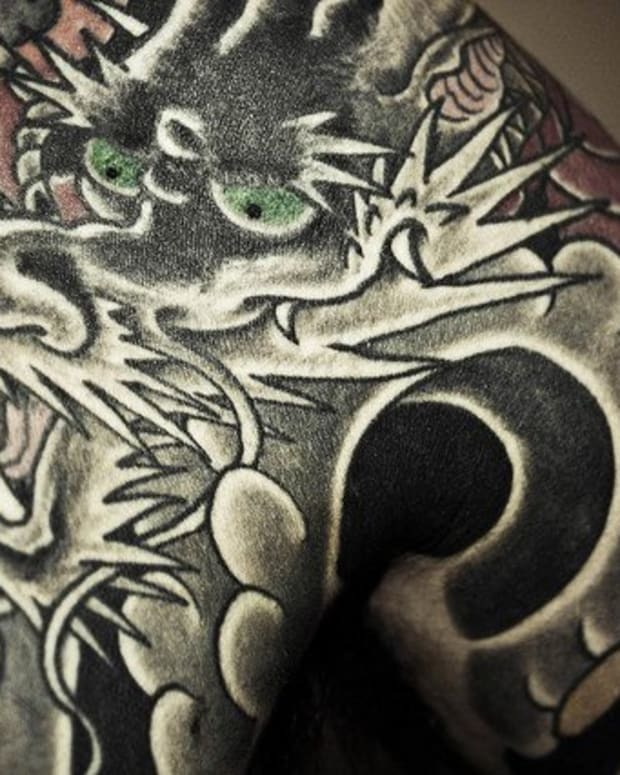 He has begun the process of removing the tattoo, but it will reportedly take up to 12 sessions to fully remove. He said he wasn&apos;t looking forward to the removal process, because "it&apos;s going to hurt," reports The Sun. 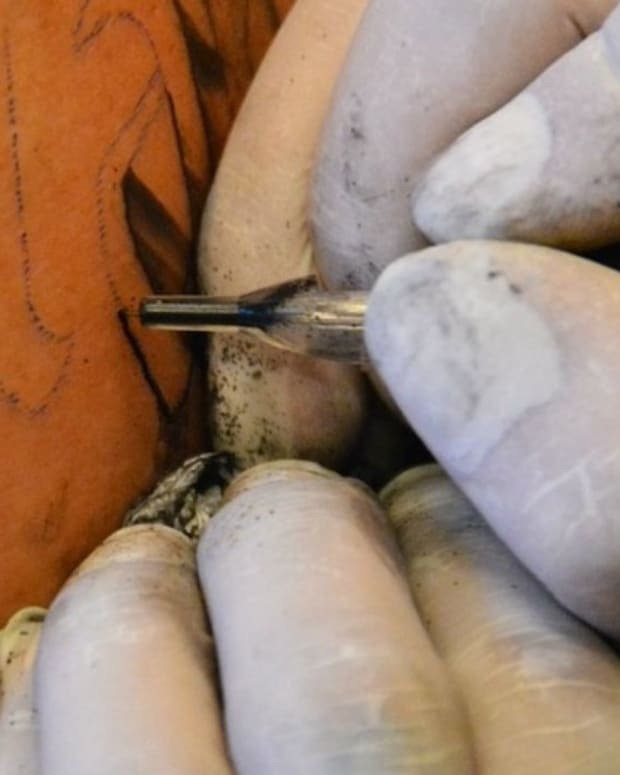 "And because, you know, this tattoo means something to me and my brother did it for me so it is hard to make the decision to get rid of it," he added. "But I know it is the best thing for my future -- and I want to be a person my family can look to for support." Cropp faced backlash after rejecting more than 45 job offers, saying that he was "waiting for the right one to come about." Some of the jobs he was offered would require him to have a car, which made them impossible for him. "Until I get my first paycheck and get a car I won&apos;t be able to get myself around," said Cropp. Many of the jobs were also outside of New Zealand, making them difficult or impossible for Cropp to accept. Now, Cropp is getting ready to start his new job. "Mark has accepted a local scaffolding job," said his partner, Taneia Ruki, according to the Daily Mail. "He could be starting as early as Monday. We are still locking in the starting day."